Of all the posts that I plan to write about the Zhen Xian Bao, this will likely be my favorite post. Figuring out both how to make this twist box and explain it have kept me happiliy distracted. I’ve looked closely at photos of people making them, watched clips of the twist box being opened and closed, examined templates, and studied videos (all available for you to see on my Zhen Xian Bao Pinterest board). Then I just kept making these boxes until I was happy with the results. These boxes are the top layer of the Chinese Thread Book, a structure that is made up of layers of collapsible boxes. Not all of the Zhen Xian Bao have twist boxes on the top, but it’s the style of box that I like the best, as it’s so very different from any of the other boxes in the rest of the structure. There are numerous versions of the twist box. 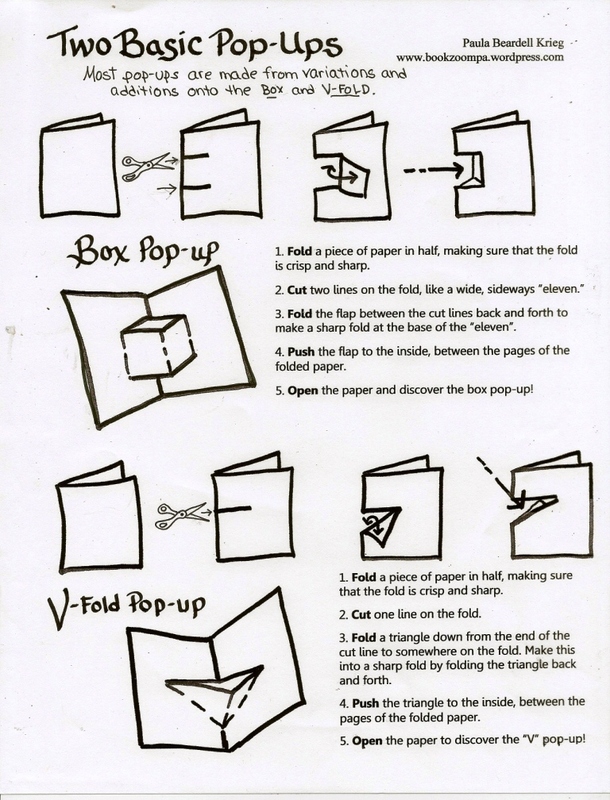 The version of the twist box that I originally fell in love with was designed and demonstrated by Chrissy Paperkawaii. While I still like much about her no-cut, no-glue version of the twist box, it’s just a bit too bulky for my liking; also, it was really difficult to twist, and if I could barely make it her way I knew I wouldn’t be able to teach it. A twist box that I thought I liked the least, but which I now appreciate, appears to be made from a template created by Lori Sauer, which Rachel Marsden wrote about. Rachel’s post is one of the most beautiful pieces I’ve seen on the Zhen Xian Bao. You really must take a look at it. 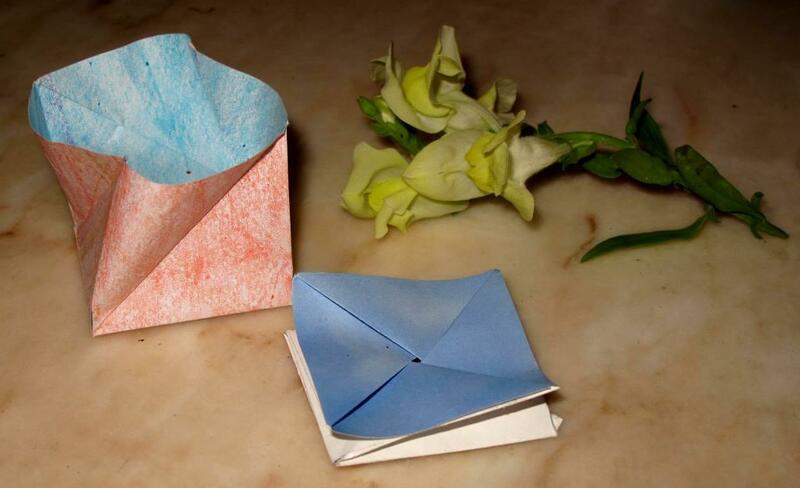 Here’ s the photo of the not-yet-folded twist box that Rachel Marsden made from the template. 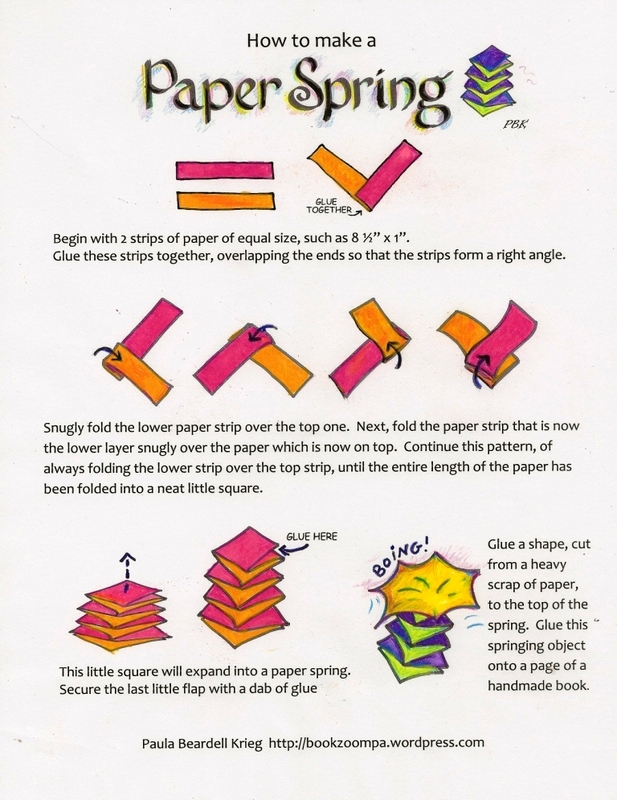 You might notice that this shape is almost exactly like the nineteenth drawing on my tutorial page, meaning Rachel probably got her twist box done in few less steps than me. The only reason that it’s not my favorite is that it’s made from a template. So what do I have against templates? The first answer that comes to mind is that it can be tricky to scale a template. 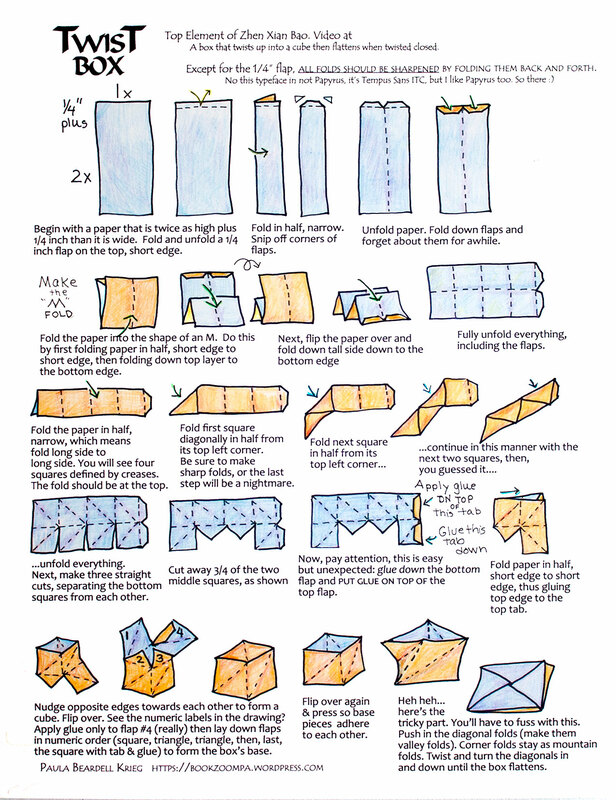 As part of a collection of different styles of origami boxes, I want a reasonable way to scale all the different elements so that I can make whatever size thread book that I want. 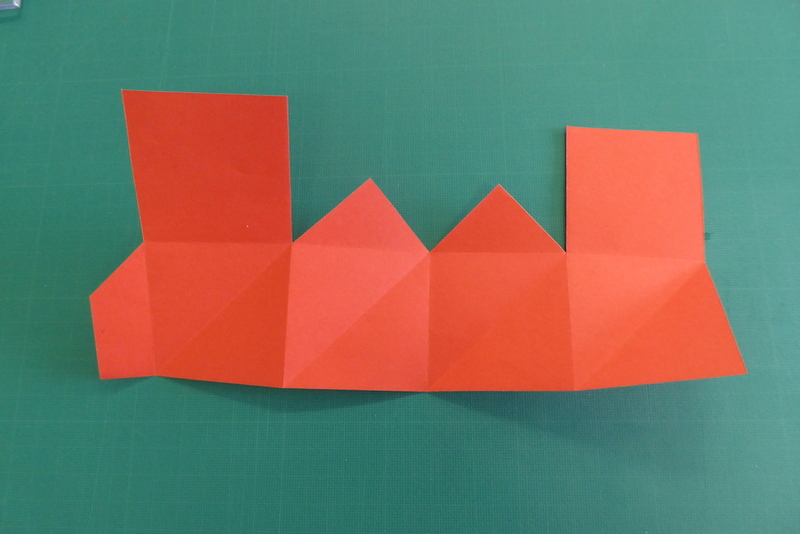 The other reason that I prefer not to rely on a template is that being able to figure out the system of folds from a rectangle gives me the chance to fully understand and appreciate the foundational symmetry of the structure that I am folding. 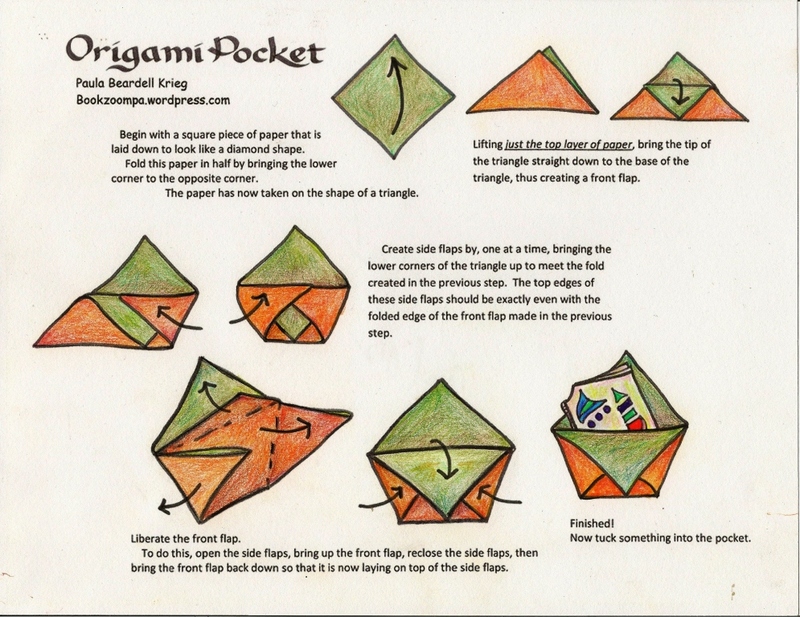 Not long ago I wrote about a fairly tricky folding structure. I included in my post the hard-to-read-and-decipher tutorial page that I had followed as well as a video. I then aimed to entice my highly accomplish weblog friend Candy Wooding to make the piece (she did!) and then asked her if she preferred the video or the written directions. She said that the video was good to start with, but then the written directions provided her with reminders. 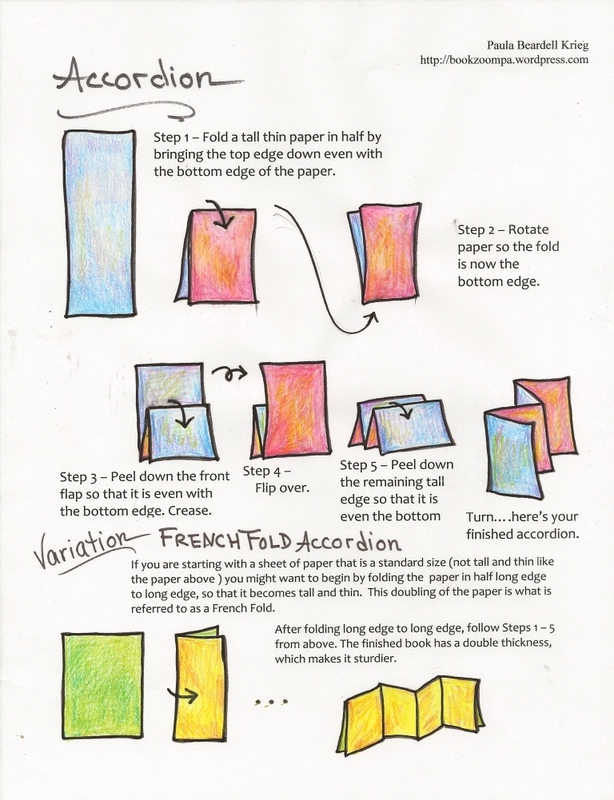 With this feedback in mind, here’s a video of making the twist box. Disclaimer? I know I’m not that good at making these videos. Sometimes things fall off the edge of the frame, and my hands get in the way, but I’m hoping that the more I make these the better I will get at it. Still, I think this imperfect video is plenty helpful. Here’s the black and white version of the Zhen Xian Bao tutorial page. You can color in this one in yourself. It’s a small PDF file, unlike the huge color file at the top of the page. 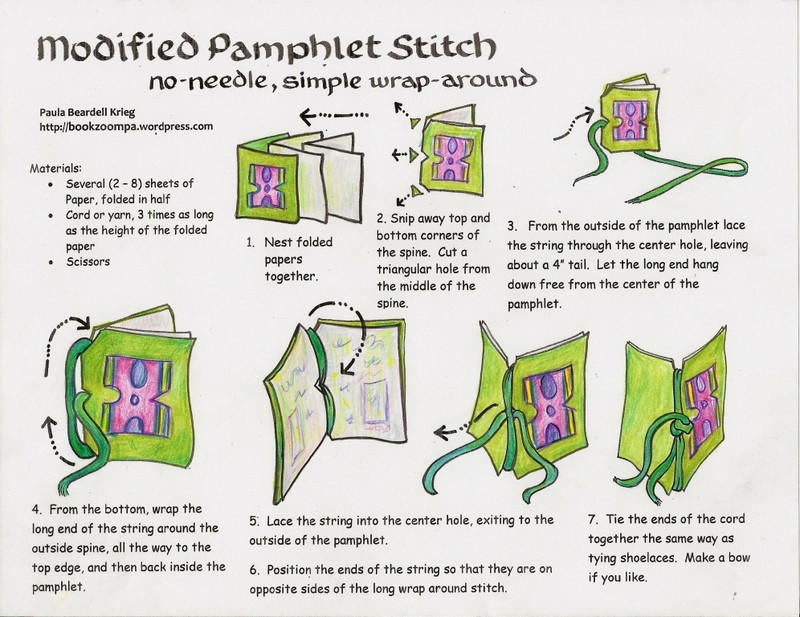 I haven’t figured out how to make a small, colored downloadable file to post on my blog.If someone wants to offer me some pointers, I’m interested! My next Zhen Xian Bao post will either be about the box that is the next level down, or about ways to decorate this box. Haven’t decided yet. Though I know I won’t be able to get to it right away, still, I’m looking forward to post #4! 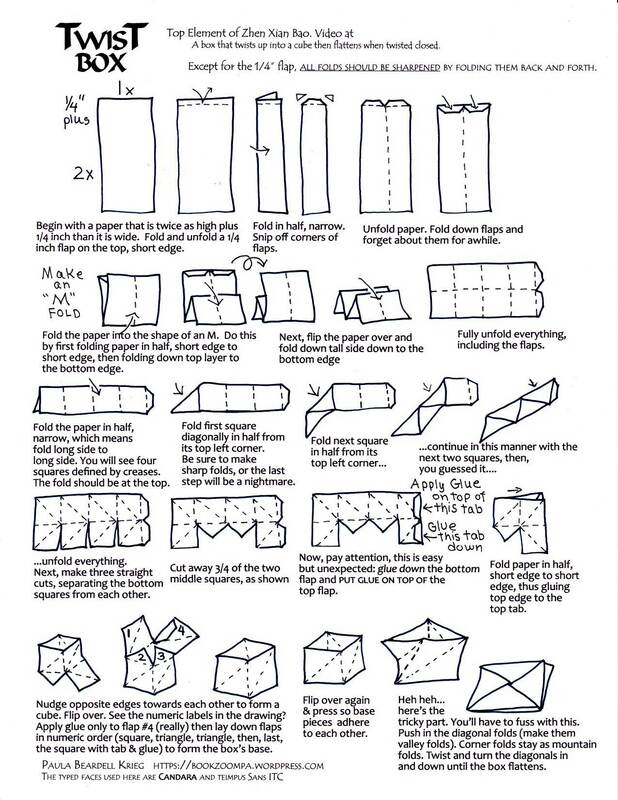 Make boxes! Thank you. Great tutorial! Made it first time with no problems! What a great comment to wake up to wake up to!!!!! IT took me THREE days to make a decent version of this the first time!!! I guess the directions work. So please tell me, did you watch the video, follow the tutorial page, or was it a combination? Thanks so much for leaving this comment.